Demolition prep work has begun on a long-controversial coal generating plant in Chicago’s Little Village. The Crawford Generating Station (CGS) began operation in 1924, one of five such stations in the city providing power via the burning of fossil fuel at a large, continuous scale. After decades of pollution, including the settling of coal dust on nearby houses and school grounds, as well as high rates of respiratory illnesses in Little Village and neighboring South Lawndale, the Little Village Environmental Justice Organization began pushing for a clean power ordinance in Chicago. Faced with community opposition as well as the threat of expensive federal requirements to update pollution controls, Midwest Generation, the owner of the Crawford Generating Station and the neighboring Fisk electrical plant, both closed in 2012. Hilco Partners purchased the station in 2016 and filed a demolition permit for the buildings on March 26 of this year. Hilco Partners plans to remediate the site, a process expected to take a year or more, with the end goal the delivery of a “new economy” site, such as a logistics center or technology hub. 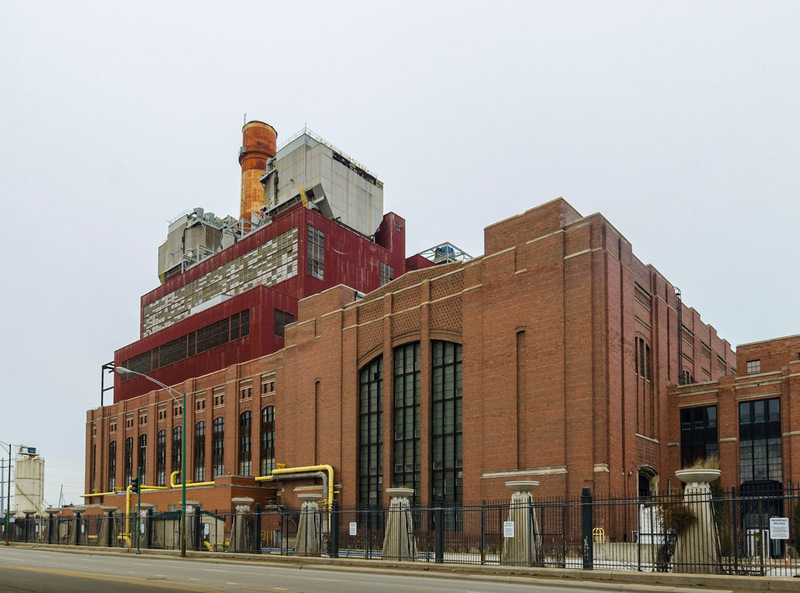 But with the demolition of the shuttered coal generating plant comes multiple community and procedural concerns for both Hilco Partners and the City of Chicago. The CGS, designed by Graham, Anderson, Probst & White, is “orange-rated” on the Chicago Historic Resources Survey, a designation of architectural significance that makes the property subject to a hold of up to 90 days from the issuance of a permit so the City of Chicago Department of Planning and Development can explore alternate options to demolition. In the case of the Crawford Generating Station, according to the Demolition Delay Hold List, the permit was released the day after it was filed.